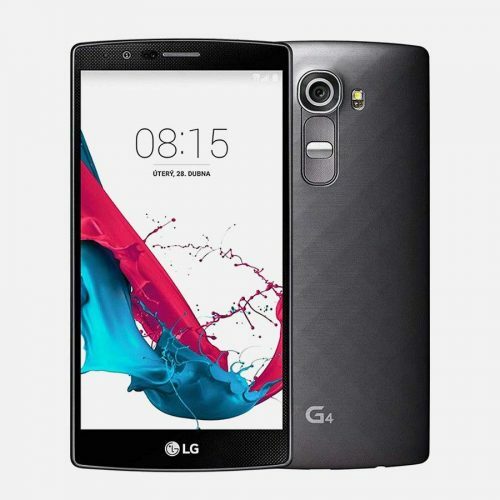 The LG G4 H810 is a fantastic device is unlocked to all GSM networks. This device is covered by the Mr Aberthon 14 day return policy, no questions asked. The LG G4 is brand new and works with all carriers and plans that use SIM cards. For more information see below. This cellphone comes with a complimentary extra battery. 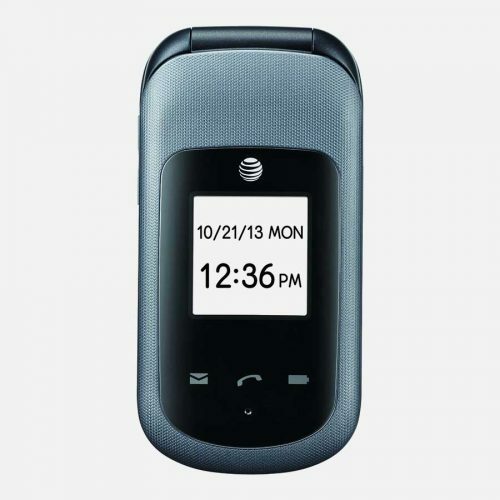 It is available in Metallic Gray Non-Leather. LG have a history of producing beautiful smartphones, and the LG G4 H810 Metallic Gray is no exception. The usual LG sleek lines and subtle curves are all there. The front face has a carbon fiber effect which makes the overall effect just stunning. These may seem like small things. But, when most smartphones are starting to look alike, such small details make a world of difference. The LG G4’s good looks aren’t the whole story, of course. LG backs up the catwalk ready visuals with high end components and red-line performance. Fully unlocked, as all our smartphones are, means compatibility with over 190 countries worldwide. It allows you to switch networks without having to beg your current provider for permission as is often the case. All it needs is a simple switch of SIM cards and you’re off and running. 4G quad band compatibility means the fastest mobile data connection you can get. Along with automatic fallback to 3G if you’re not in a 4G area. Wi-Fi speeds are available all the way up to 802.11 ac, the fastest standard available today, with GPS, Bluetooth 4.1 and NFC making up the extensive connectivity options. The 5.5” LCD multi-touch capable LCD display is one of the best you’ll see anywhere. 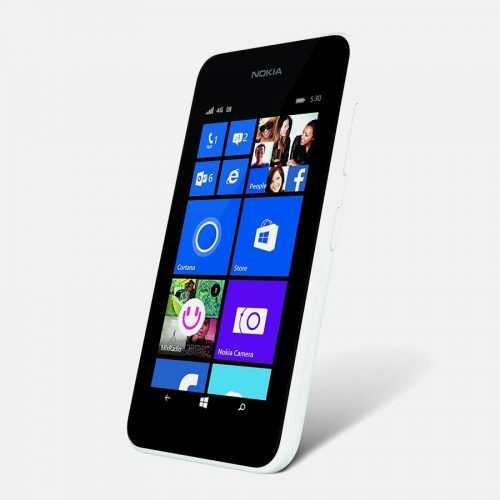 It brings a resolution of 1440 x 2560px with a mightily impressive 538 ppi pixel density. Protected by Corning Gorilla Glass 3 means greater protection from scratches and cracks that can occur with unprotected screens even in everyday use. The days of 1MP cameras in smartphones are long gone, with the LG packing a punch with 8MP. Oh, and we should mention that’s the front camera. The primary, rear camera is an amazing 16MP. It has Optical Image Stabilization, geo-tagging, face detection and panorama/HDR options. The main camera can also capture video at up to 2160p at 30fps. As well as the front camera also being able to record 1080p Full HD video. On the physical side of things, you get 60% battery charge in just 30 minutes, thanks to LG’s fast charging option. The G4 is also QI Wireless Charging compatible, so fewer cables trailing around your nightstand or desk. No more wrestling with that little fella who lives inside every electronic device and flips the USB port the other way up when he sees the connector coming. 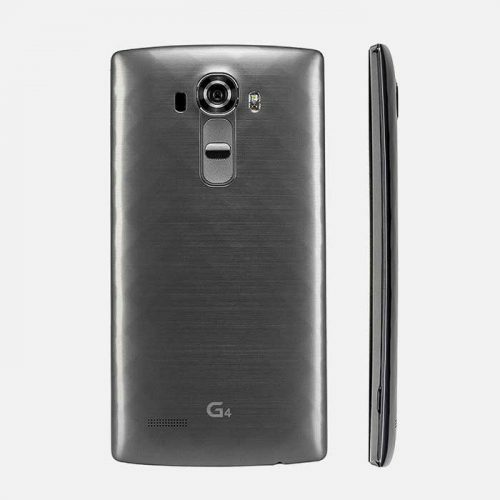 Size wise, the G4 comes in at a fairly lightweight 5.49 oz. That means it’s substantial enough to feel solid and secure in the hand, but doesn’t become a burden on long calls or when in a shirt pocket. Alongside the impressive battery performance, every smartphone needs a great operating system to help you get the absolute best out of it. 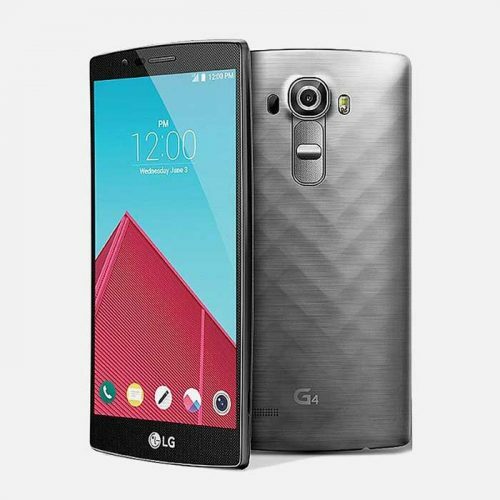 The LG G4 runs Google’s own Android OS, the most popular mobile OS in the world. It has all the backing of one of the world’s biggest technology companies. But it’s true to say that Android can look a little plain in its out-of-the-box state. Therefore, LG included their renowned LG Optimus UX 4 user interface to make using the G4 as smooth and simple as possible. The LG G4 H810 Metallic Gray is a fantastic example of how to get a smartphone right. This is a quality device from top to bottom, both inside and out. Meaning, it’ll be right for you.